Not that T.Swift doesn’t hit the breakup song spot, she totally does. But when you’re done burning throwing away all the photograpahic evidence of a relationship, have already eaten all the Ben & Jerry pints you can possibly consume, and have come down from cursing he/shewhomustnotbenamed over tears a bottle of wine, take a minute to let the calming sound of Wet help you say “f*ck you” to the ex, well, calmly. 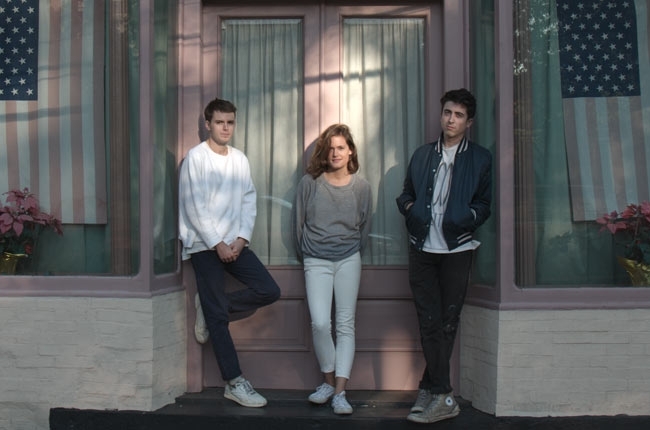 The Brooklyn based trio first formed in 2006 while guitarist Marty Sulkow and percussionist Joe Valle were attending NYU, and Kelly Kutrau was a student at Cooper Union. After a stint of long distance track work, the group focused more seriously on their sound by mid 2012 and released their first EP last October. Since the release, Wet has only been on an upward trajectory. After a number of local NY performances, Wet announced tour dates with Chvrches in 2013 and were certainly popular at SXSW this past March, topping the “bands to watch” lists published about the festival.